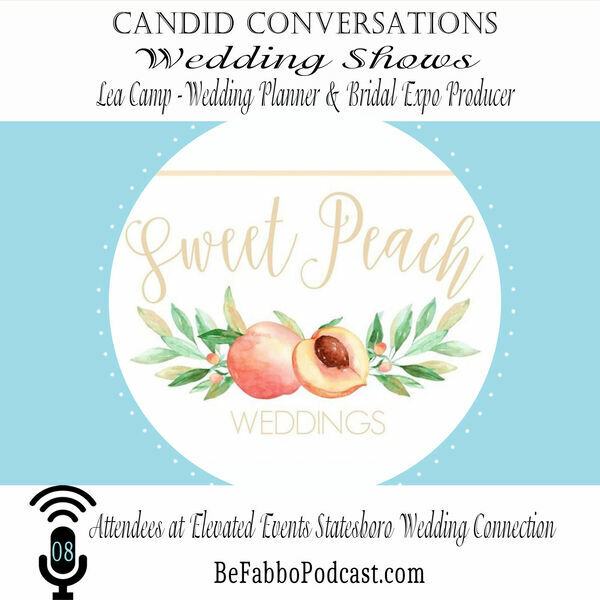 Sweet Peach Weddings joins Bobbi to discuss how she got her start in the wedding industry and how as a wedding planner she wanted to produce her own bridal expo to bring together wedding pro's and engaged couples in one place to start putting together the wedding day team. Also on the episode, a few live interviews with attendees at the Elevated Events of Statesboro Wedding Connection. "What I do: My job is to help bring dream weddings to life by communicating with each vendor so couples don't have to worry about who is showing up when, coordinating a rehearsal so the bridal party, parents, and grandparents can go into the wedding day with confidence, create and maintain a timeline for the wedding day, make sure i's are dotted and t's are crossed, put out any and all "fires", make sure the couple is enjoying their day, and that's just to name the basics. I've found myself creating centerpieces, cutting cakes, fixing bride and groom's dinner plates, and so much more. I have a passion for wedding days; that includes the tiny details, the love, the hustle and excited air each of those days bring."